Dr. Carey Stevens | Business Psychologists Inc.
Dr. Carey Stevens is an award-winning authority on business psychology. Dr. Carey Stevens integrates psychological principles and practices to achieve high-level business objectives and to navigate, mediate or resolve complex organizational challenges. 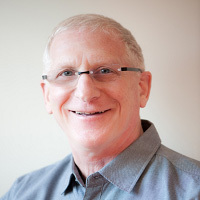 Carey’s combined psychotherapeutic skills and business experiences have refined his expertise in executive coaching, change management, talent management, career transition, strategic business transformation, as well as personal growth and development. Throughout his 40-year career, Carey’s personalized, insight-oriented consulting services have optimized leadership and upper management performance in Fortune 100 companies and large-scale organizations around the world. Carey is a dual Canada/US citizen and has obtained Top Secret+ Security Clearance (CSIS) and Secret Security Clearance (RCMP). From organizational growth and workplace engagement to professional development and conflict resolution, Carey deals with even the most complex, sensitive issues. Carey shows a proven commitment to enhancing and upgrading his skills through quality professional development courses and ongoing education. How can Carey support you and your organization? Dr. Carey Stevens has the expertise and experience to help leaders resolve, engage, develop and transform not only themselves, but by extension the professional and private circles in their lives. Contact Carey today to book a private, confidential consultation.